Bahubali Group – BEPL (BG), is based in Mumbai. The company has diversified businesses of manufacturing of Machines, Injection molds, Hotel, PET & PP Preforms, Bottles and Containers, Land development, Finance. Our company is a leading manufacturer of Automatic and semi automatic Blowing machines for PET & PP, PET Preforms, Bottles and Containers for household and packaging purpose, Tin Cans, Preform Injection molds and Blow molds. 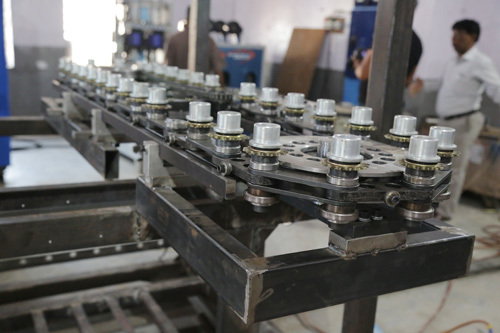 The manufacturing facility is at Ajmer, Rajasthan. The manufacturing of PET Preforms, Bottles and Containers, Tin Cans is done under strict hygienic conditions. Our products have good barrier properties suitable for packing hygroscopic products in it. The total manufacturing capacity is 600 Tons per month of Preform, Bottles and Containers with a wide range of products from 30 ml to 20 litre jars and neck size 19 mm to 120 mm conforming to international norms. The company has offices at Mumbai, Delhi & Ajmer. The company is run by highly qualified and experienced Board of Directors and a team of Engineers, Technicians and other staff. The total man power of the company is around 250. The company has also set up a very sophisticated plant with the latest machinery VMC’S, CNC’S, GRINDERS, etc for manufacturing the Molds. The company has developed for the first time in India blowing machine with PNEUMATICALLY CONTROLLED TOGGLE LOCKING SYSTEM for mould closing and opening. 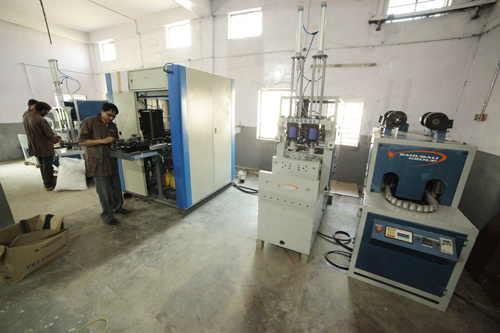 The blowing machine is fully pneumatic with the latest technology used for blowing process. Further the company has developed a very attractive range of household products like fridge bottles, storage Jars & containers. The designs of these products are very innovative and are new to the Indian market. This products are being marketed under the brand name “GOOD TIMES”. All the big modern retails companies are buying these products. We have developed a very special type of packaging suitable for packing foods items. This is a very attractive and unique type of packaging and has never been introduced for the first time in the Indian market. It is a composite packaging with PET jar and Tin Top. The company works under the overall guidance of Shri M.L. Jain, B.Sc., B.Tech, with a plethora of experience in industries in India and abroad. Bahubali Group – BEPL (BG), is a registered private limited company incorporated in 1992 with offices Mumbai, Delhi, Ajmer. The company was one out of the two manufacturers of Magnetic tapes in the world have a market share of more than 50% with a satisfied clientele throughout the world. After enjoying the ‘numero-uno’ status as a leading global company in the field of Magnetic Tape for several years, the company diversified manufacturing of Machines, Molds, in PET preform and bottles. 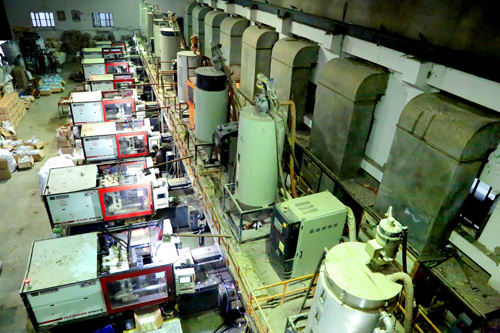 Within a short time the company has grown leaps and bounds and today we can boast of being one of the leading players in Blowing Machines, Injection Molds, Blow molds, PET preforms and bottles, producing 600 Tons per month. Through shear technical competence and innovative skills, the company products have found wide acceptability and our clientele is growing by the day. The company vision is to become “numero-uno” in this field too. The company has on its roll highly qualified and experienced engineers, technicians and other work force, all of whom are trained to excel in their respective areas of operation. As stated above, BAHUBALI GROUP - BG came into being in 1992 and ever since its inception, the revenue / turnover figures have always moved northwards. The company has several imported, State-of-the-Art quality instruments for checking various parameters like weight, wall thickness, IV levels, flow pattern, clarity & gloss, load bearing capacity etc. We also have a in house blowing unit, which helps in assessing the “blown-up” preforms and look for shortcoming if any. Strict hygienic conditions are maintained. 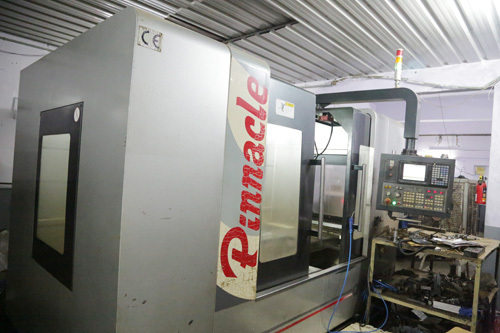 The company has highly sophisticated, Ferromatik Milacron make, Injection Moulding Machines, which ensure high quality products with minimum IV drop. 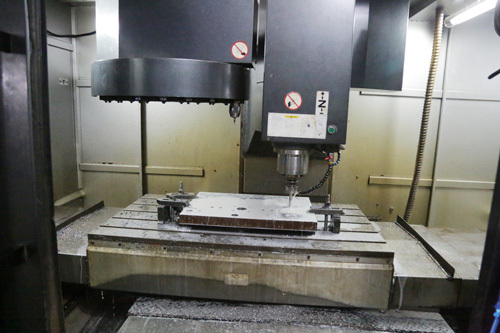 Sophisticated tool room with Latest machinery like VMC, CNC, GRINDERS, etc. The Bahubali team comprises of highly qualified and experienced professionals in various departments like Production, Sales & Marketing, Tool Room, QC, etc. Being appreciative of the importance of products within close parameter tolerances, the Shift Engineers, Shop Supervisors and Machine Operators are hand-picked through a rigorous screening process. They are then imparted intensive On-the-Job training only after which they are put on regular production activity. Our customers include companies like Reliance, Future Group, Dmart, Bharti-Wal-mart, Emami ltd, Parle biscuits, Adani wilmar Ltd, UB group, Imperial sprits, Hindustan Unilever ltd, Castrol, Cello plastic products, etc. A detailed list can be provided if required. 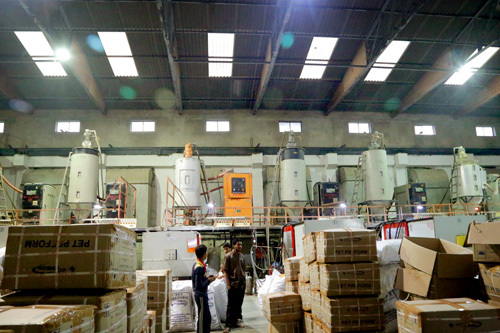 The present manufacturing capacity is 600 tons / month, which is being considered for further augmentation.